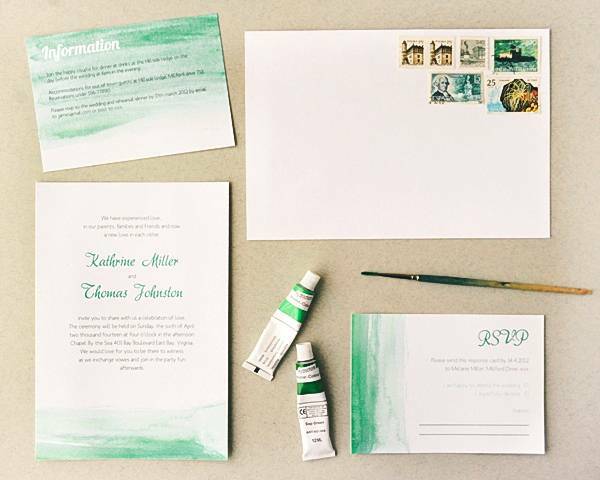 We got another set of freebies for you today: watercolor-embellished invitations, rsvp and info cards in three different colors. Print these out on white or cream colored card stock from your home printer. The layout is super-ink saving and if you set your print on high quality/best/fine, these babies should come out perfectly. Tänään jaamme kanssanne freebiesejä! Vesiväriaiheiset kutsukortit, vastauspyyntö - ja infokortit sopivat juhlaan kuin juhlaan. Printtaaminen on musteystävällistä, valitse vain mahdollisimman tarkka tulostusasetus. Then open the pdfs, edit the texts straight in your browser window or, for best results, open the files in Adobe Reader and put in your own text (browsers may modify the layout, so we really recommend you download the Reader for free, it won't take long). Note that the text layout is limited and for the best possible look, adjust your text, so you use the same amount of lines as in the layout. Play around a bit, leave some lines empty and see what looks best to you. Then print. You can either print it out straight onto your card stock (in the right size) or you can print it on larger paper, then cut to the right size. Just make sure you set your print to 100% or smaller, not fit paper or the print will be enlarged (which wouldn't be too pretty). 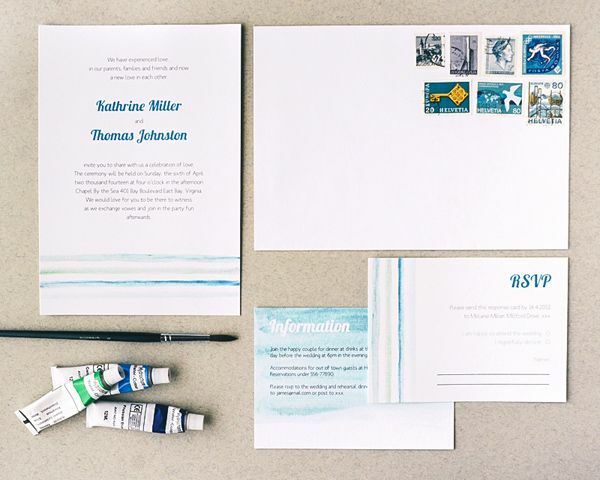 You'll get best results on A5 sized card stock for the invitations A6 stock for the rsvp and info cards. For personal use only and please don't re-distribute the files directly. Linking to this post is of course allowed, even encouraged. For more info on sharing, content and image copyright, please read our disclaimer here. Printtaaksesi tiedostot, lataa koneellesi ylläolevat fontit. Editoi tekstit esikatselussa tai Adobe Readerissa saadaksesi parhaan tuloksen. Huomioi, että tekstin määrä on rajallinen, saadaksesi kauneimman mahdollisen lopputuloksen - joudut ehkä leikkimään tekstin asettelun ja sanojen kanssa hieman. Printtaa tiedosto joko oikean kokoiselle paperille tai A4 koolle ja leikkaa. Huomioi, että tulostus tulee tehdä joko 100% tai pienempänä, älä suurenna kuvan kokoa (älä sovita paperille). Paras tulos tulee A5 kokoiset kutsut ja A6 kokoiset vastauspyyntö- ja infokortit. Ainoastaan henkilökohtaiseen käyttöön. Älä uudelleen jaa tiedostoja suoraan. Toki voit linkittää tähän postiin, se olisi mahtavaa! this font is so lovely on name cards! I used it in my daughters confirmation. I have only one word to say in this! “AWESOME”!!! testicular cancerA very nice stuff this is what I was looking for!! social anxiety treatmentAmiable articles and the blogs really helped me a lot, thanks for the valuable information. best credit repair servicesThank you so much for such a great blog. How to get rid of pimplesAmiable articles and the blogs really helped me a lot, thanks for the valuable information. book a room medinaThat’s really a nice one, I have seen many blogs but they are outdated so I’m pleased to see this blog now. user guidesFastidious blog you’ve got here. I’ve ever been seeing you just about many blogs recently. nemesis modWaooow!! Nice blog, this will be greatly helpful. best security systemAwesome! Immense information there. phytoceramides reviewYour blogs and each of its stuff is so pleasurable and valuable it is making me come back soon. Flannel TopperThe information in this blog is extremely useful for the people. duvet covetsThis is very essential blog; it helped me a lot whatever you have provided. Nice website full of quite interesting and informative posts, so must keep on good working! I am enjoying a lot reading this post and hope you will post more things here so that people can learn more by enjoying. Ahaa, this is pleasant conversation in this post here, I’ve just read this all, so I think this is the only place to comment on the post….